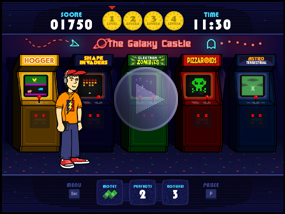 Race through a classic 80's video arcade! Jump into the action -- literally! Familiar gameplay with a twist!